If you’ve ever had a migraine, you know that the pain can be excruciating and you would do anything to make it stop. 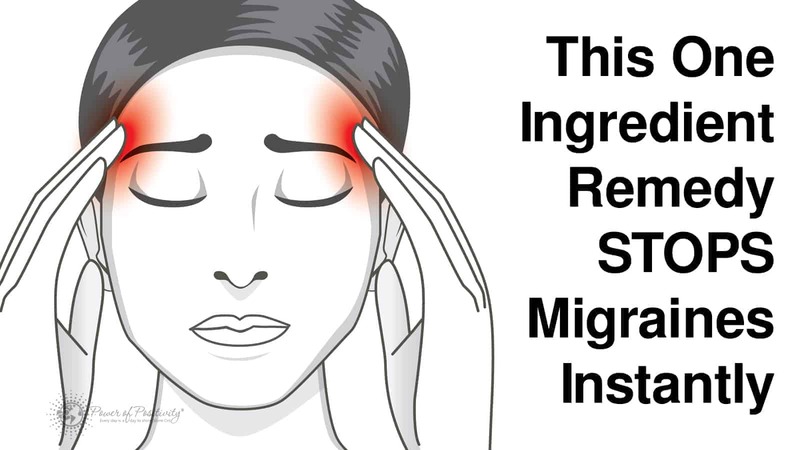 Although traditional medicine offers migraine relief, and other home remedies exist, you won’t believe how easy this one natural ingredient can take away your migraine pain. According to the Migraine Trust, 54% of migraine sufferers experience one or more attacks per month, and 13% claim one or more attacks per week. As a result of migraines, an estimated 25 million days are lost from work or school because of migraine worldwide. The World Health Organization classifies severe migraine attacks as among the most disabling illnesses, comparable to dementia, quadriplegia and active psychosis. Migraine sufferers know that a migraine is not like a usual headache. The severity of the pain and the duration are typically what sets a migraine apart from a regular headache. If you are unsure what type of head pain you are experiencing, you can read more on this topic here. Consult your doctor for help if the pain does not subside with over the counter medication or home remedies. What is happening during a migraine? Inside your head, blood is flowing in a circle like a halo, providing oxygen to all of your brain tissue. Neurons are firing and all of your bodily functions are being controlled by the computer that is your brain. When a migraine happens, two things are causing you pain. First, blood vessels are dilated. They open up and more blood that usual starts flowing to your brain. The pressure on the blood vessels of the increased blood flow is one cause of the pain that you feel. The second cause of pain, according to the Migraine Relief Center is that “cranial vessels leak, causing swelling in the area.” No wonder you feel pressure in your brain when you have a migraine. Migraines can last from 4 to 72 hours. During that painful time frame, some people feel nausea to such an extreme as to cause vomiting. Often, people experiencing a migraine need to lie down and rest to recover until the pain subsides. During a migraine some people will also experience visual hallucinations, like tiny lights appearing or tunnel vision where their field of vision is closed off. This is common but it can make any normal activities like driving impossible until the migraine passes. A migraine can be caused by an environmental trigger such as red wine, stress, sustained loud noise, dehydration, soy products or even weather pressure changes. Migraine sufferers quickly learn to look for and avoid the possible triggers that brought on the migraine. Women have a higher incidence of migraines due to hormonal changes. Women sometimes find that they are more likely to experience a migraine during the same time of their monthly menstruation cycle. Other hormonal changes like pregnancy or menopause can bring on a change in migraine frequency. The Migraine Trust says that “migraines remains undiagnosed and undertreated in at least 50% of patients, and less than 50% of migraine patients consult a physician.” Most try to fix the pain themselves by taking their usual pain reliever such as ibuprofen, aspirin or acetaminophen. Both aspirin and ibuprofen act to thin the blood and they will have a small effect on a migraine by reducing the pressure on blood vessels in the brain. The time that it takes for these to have an effect is excruciating for the person suffering for the headache. Prescription medications are also available from a doctor in pill, patch, injection or nasal inhalant forms. For oral medication, migraine sufferers take them at the first sign of symptoms. Other forms are meant to be faster acting or in the path form, deliver a steady dose of medication to help prevent migraines. The one miracle cure for your migraine? A drop of high quality essential frankincense oil placed on the pad of your thumb, then pressed into the roof of your mouth is a natural remedy that can stop migraines instantly. Ancient Egyptians used frankincense oil as a natural migraine remedy when it was applied externally to the head. Some people report disliking the taste of the oil so they use it in specific massage points on their head. Put the oil on your fingertips and rub your temples, forehead, back of your neck and scalp. One study found that the monoterpenes in frankincense and other essential oils act as a powerful anti-inflammatory. 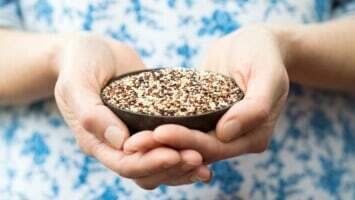 This reduces the swelling of the blood vessels and reduces the pain. A second study showed that frankincense oil reduced the intensity and frequency of headaches in patients who experienced debilitating cluster migraines. If you are one person for whom the frankincense oil does not work, try something to constrict your blood vessels, such as applying cold. A wrapped ice pack applied to the back of the neck or even running cold water over your head should help reduce the size of your blood vessels. Holding some cold water in your mouth while breathing through your nose will also help.